Computerised housing lottery for the selection of successful applicant from among a lakh applicants and allot them MHADA house through computerized program for housing lottery is the forte of MHADA, which ensures transparency and trust of the people of the state. 2nd Position in Government Website under open Competition 2013 in Marathi Website organized by Rajya Marathi Vikas Sanstha Mumbai & C-DAC Mumbai. 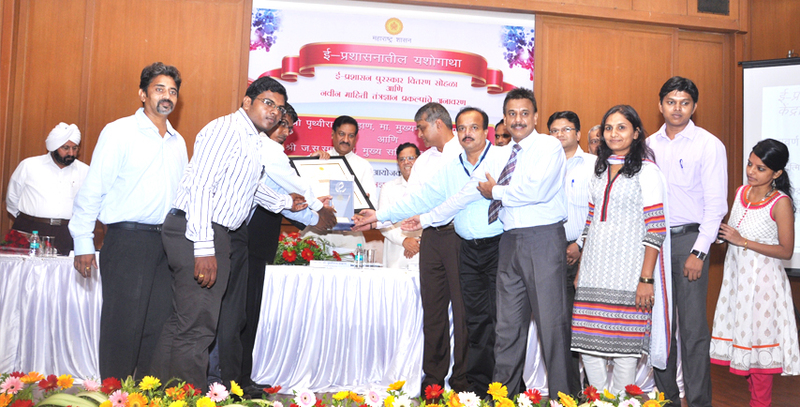 Best Goverment to Citizen (G2C) Excellance Award for Integrated Housing Lottery Management System e-Maharashtra Award 2013. MHADA owns a Material Testing Laboratory to ensure quality in MHADA housing projects. The laboratory also conducts tests for other departments including CPWD, PWD, TMC, Railways, MTNL, BSNL, BPT, AAI, P&t, ONGC, MES and other local bodies. MHADA aims to make the laboratory to be second to none, on par with the best professional standards. To maintain its high professional standards The laboratory has won ISO certification of the year 2000. Various tests are performed in the laboratory like strength of cement & mortar (compressive strength), Bricks(Crushing ad Water absorption), Fine aggregate(sand), Coarse Aggregate (physical and mechanical test), Cement Concrete tiles(abrasion, water absorption and Transverse strength), Structural steel(physical and Mechanical test), Physical test on cement, Solid concrete and Hollow block (compressive strength),Moisture content of Timber and Rebound hammer testing and many other tests.